Unless the U.S. wants to remain beholden to China for decades to come, it had better start mining rare earth metals domestically soon. systems. And unless the U.S. wants to remain beholden to China for decades to come, it had better start mining rare earth metals domestically. That’s the conclusion of a report on critical materials strategy released this week by the Department of Energy. The DOE’s report analyzes five rare earth metals–dysprosium, neodymium, terbium, europium, and yttrium–deemed critical to clean energy technology. It comes to a scary conclusion: For the next 15 years, the U.S. will have to rely on China for the majority of supplies. What can be done? The report outlines three strategies. 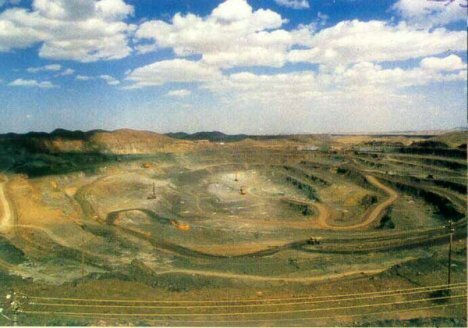 First, work to increase domestic supply of rare earth metals. The U.S. actually has one of the largest rare earth mines in the world in Mountain Pass, California, but it has been closed since 2002 due to lack of demand. It could cost up to $500 million to reopen the site. The DOE also suggests developing substitutes–a process that is already underway. A company called Nanosys, for example, manufactures synthetic phosphors for LED backlighting out of easy-to-find materials–not the yttrium commonly used in phosphor production. Big-name electronics manufacturers like LG and Samsung are snapping up the Nanosys QuantumRail LED backlighting device, in part because it doesn’t require those pesky rare earth metals. Finally, the DOE advises the “recycling, reuse, and more efficient use” of rare earth materials. That requires research into a number of issues–recycling rare earth metals from fluorescent lamps, demagnetizing rotating machine components, and developing rare earth metal component designs that are optimized for recycling. It will be a long process to wean the U.S. off China’s supplies, but it’s necessary–and any companies with rare earth metal alternatives should gear up for increased demand.